Today we have the pleasure of featuring librarian extraordinaire Matthew Winner! Matthew is giving away a 30 minute Skype session on a topic of your choosing. Brainstorm story ideas. Critique a manuscript. Build a strategy for expanding your social media presence. Develop a personalized recommended reading list to support your writing and story developing. You name it. To be eligible for the drawing, please enter the Rafflecopter (below) and subscribe to Matthew's mailing list at http://www.matthewcwinner.com/blog. You are a well-known children's librarian. Tell us about your background, your career, and how you came to write for children. I began my work in education as a general classroom teacher in the 4th grade. It was a great life and I became fast friends with the school librarian. So much so, in fact, that she nudged me to begin work on my Master's degree in School Library Media that Spring. My passion for children's literature ignited in my first years of teaching, and when I had the opportunity to take a position as the school librarian in one of our county's schools a few years later it was a match made in heaven. I love working alongside my students and I've made a mark bringing my passions into the classroom, whether that be writing stories, playing video games, collaborating over Skype, or a combination of the three. I started self-identifying as a writer about 8 years ago, sharing my work in critiques and attending SCBWI conferences. It's been interesting to have a foot in so many different spaces and see how they all work together and play off one another. I write picture books and graphic novels. I write for the very young as well as for elementary-aged readers. Most of the stories I write have quiet themes affirming the individual and exploring how we come to understand ourselves and our emotions. As an expert in social media, what are your top 3-5 tips for authors & illustrators to be effective on social media? These change all the time depending on with whom I'm speaking, but here are the tips at the front of my brain right now. 1. Know your goals - Use social media with intention and focus. The internet is massive and every click and status and post is competing for your attention (and everyone else's. Approaching social media with a goal in mind will help you to make the most of and feel the most satisfied with your time online. 2. Find your tribe - Follow the voices and the communities where you feel you have a connection or vested interest. Search hashtags to find colleagues with common interests, be it illustration or STEM or own voices or science fiction. If it's a topic that interests you or inspired your stories, chances are more than likely others are talking about it on the internet already. Go be part of the conversation! 3. Keep a schedule - Set aside time each week to post, and post regularly. Building an audience takes time, but it also takes investment. You might join monthly Twitter chats, a special interest Facebook group, or contribute to an Instagram hashtag community. But whatever it is, stick with it. Put it on your calendar and, even if you need to post or contribute a few hours or days later, make sure you share. That schedule will help you build a rhythm as well as affirming your place and your voice in a community. Tell us about your podcast, Let's Get Busy. How did it come about and what are your goals for it? I started the podcast in the summer of 2013. It grew from my Busy Librarian blog (hence the original name) and I started it because (a) I had been listening to podcasts for several years and felt like I could make something that wasn't already being done at the time and (b) I wanted a way to share the voice of authors and illustrators in order to help teachers and librarians connect more with books and their makers which, in turn, might help when it came to planning author visits. Nearly 5 years later I still have the same focus, but I think the podcast has reached a different, wider audiences and is serving in ways I couldn't have anticipated when I started. I co-founded a children's literature site with Blake Hamilton in October 2015 and shortly after we decided to rebrand the podcast to All The Wonders: The Children's Book Podcast, being the site's flagship podcast. The main focus of my interviews is the opportunity to hear the story behind the book and to better understand the storyteller, from roots to publication. My goals are always to keep the conversations pure and sincere, selecting books that I feel made a connection with me, and lifting up diverse voices whenever possible. What are the one or two things you've done recently as a library media specialist that you are most proud of? I'm at a new school this year (my fourth in my career so far) and I'm building a new program in a space that feels long neglected and mislead. I love entering a space, evaluating it's potential, and then nurturing a program that can grow to be loved, valued, and owned by a community. I've spent most of this year building trust with the students and teachers in this building. Trust in me. Trust in the program. Trust that I will be here at every turn, no matter the challenge, and will stick to the promises I make. I am proud to be building a program from a deep and sincere love for this school and these children. And I am proud to have the support of the administration, staff, students, and parents to make lasting, meaningful changes in our library. We also just wrapped up a mock Coretta Scott King Award. I've done mock awards before, but this was something special. Throughout our month-long process, I witnessed how much my students valued seeing themselves in the characters and the stories and the storytellers and illustrators of each of our 16 selections. It was a simple act, reading aloud picture books and asking students to consider which books best met the CSK Award criteria, but it was effective. I love those moments when we're reminded that sometimes our greatest impact can be through our most simple and basic choices. And I love how this activity drew me even closer to our community. How do you juggle a busy career, social media presence, writing, and family (ie. how do you get it all done?!)? I work diligently to make space for everything that needs my attention. When I'm at school, my only focus is on teaching. When I come home, my kids and my wife get my full, undivided attention. I podcast as a hobby and work regularly to find a balance between how frequently I post and what other responsibilities I have in my open time. 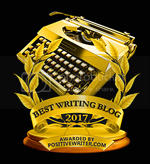 Writing feels really good, and I remind myself of that feeling in order to make sure I set aside time to do it each week. I go to our public library weekly to write, though sometimes I'm working on freelance work and other times I'm working on original stories. Remember what I said above in the question about social media? It's all about keeping a regular schedule and finding a rhythm. If the rhythm feels off, something needs to be changed. I feel like most people that listen to the podcast know a whole lot about me. I'm quite candid and my interviews are always more personal then they are editorial, so one can't help but bring up personal connections as the situation presents itself. But perhaps one thing I might share that could be a comfort to others reading this is that I struggle a lot with significance and self-doubt. My relationship with social media is a bit complex in this regard because I love sharing what others do and what I find to be amazing about what I read or what art I see, but my habit for comparison to others goes out of control online if I spend to much time scrolling and it's really not healthy. At the risk of getting too personal I'll just say that I think we have a habit of seeing someone's online persona or bookstore persona (or podcast or classroom or whatever) and too often our brains trick us into thinking that there's something other people have that we ourselves do not and that we need this mysterious thing to somehow become a better version of ourselves, when in reality what we all really need is to understand that we are each created perfectly and beautifully. The most important thing most of us can do is to be exactly who we are and to love ourselves for it. You can learn more about me and access my blog online at matthewcwinner.com. 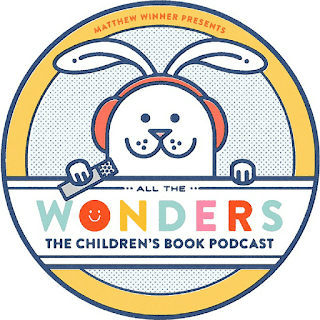 You can listen to over 400 episodes of the All The Wonders podcast by visiting allthewonders.com/podcasts/atwpodcast. I'm always easy to reach on Twitter at @MatthewWinner. And if you have a Nintendo Switch, send me your friend code and we can play games together (which is my favorite way to connect of all!). Matthew Winner is an elementary library media specialist in Howard County, Maryland. 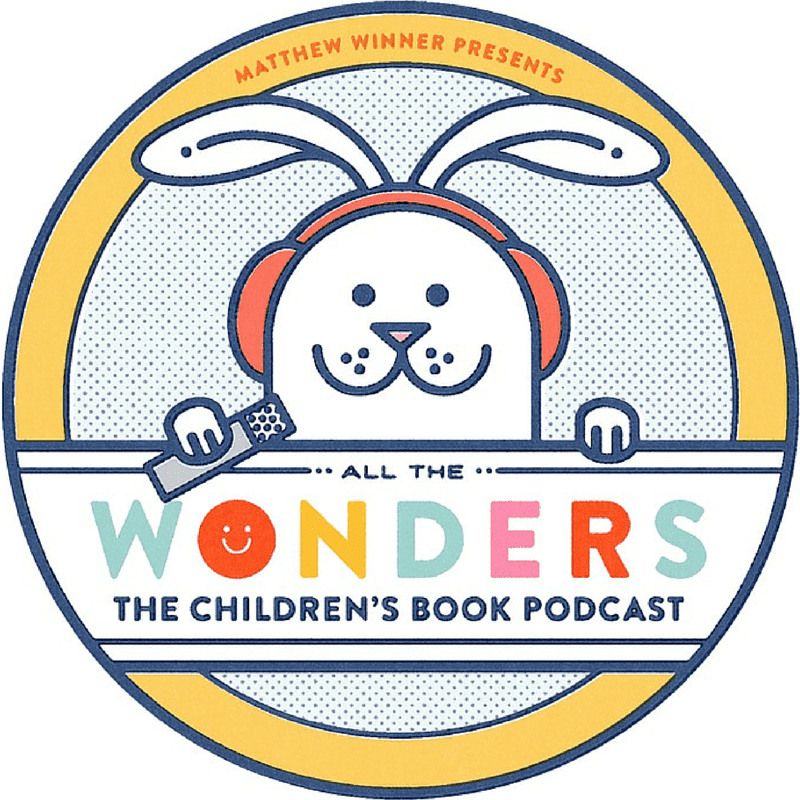 He is the co-founder of All The Wonders, a children’s literature website and more, and host of the All The Wonders podcast, a weekly podcast where Matthew talks to authors, illustrators, award winners, up-and-comers, and everyone in between. He is the author of ASHA WENT WALKING, a webcomic for young readers illustrated by Lorian Tu-Dean about a girl, her arctic fox companion, and her magic bag. In 2013 Matthew was named a Library Journal Mover & Shaker and was invited to the White House as part of the Champions of Change program. Matthew currently teaches library media at Swansfield Elementary School in Columbia, Maryland. This is an awesome amount of information! Thanks so much! Thanks for reading and (I hope) finding some of it relevant and useful, Gabrielle. Cheers! Such a big fan of All the Wonders. Thanks for sharing your insights Matthew! Always love to hear that! Thanks for checking out the site. All The Wonders is the work of many, many talented hands and hearts. I've heard lots about Matthew and look forward to getting on his mailing list. Thank you so much for the post! Oh my! All good things I hope! I'm told I say "oh my word" way WAY more than necessary. I loved reading more about you Matthew. Great tips too! I love the idea for the Mock Coretta Scott King Award. Claire! Thanks for reading this and for looking into our mock CSK. 14 years into teaching and it's definitely one of the projects that has connected me most closely with my students. Matthew is the best, love his podcast! Well I'm not gonna argue against that if you say so, Scanner. Thanks for listening very much! Matthew, thank you for this interview, for all you do, and for being you!! I love the last part of this interview so much, for everyone to be who they are and to love themselves doing so. Such important words for everyone. Love All the Wonders! One of my favorite podcasts! Thank you for all you do, Matthew Winner! Makes me smile to know that you and others are listening, Rebekah. Thanks for the support (for both me *and* my guests)! Any time, Amanda. Glad you found it helpful. So glad to hear more from Matthew. His podcasts are rays of sunshine. It is so nice to hear you say that, Kaye! Thank you! All the Wonders has become one of my go-to podcasts when I'm walking, driving, doing chores, or just relaxing. I've learned a ton from Matthew and his incredible guests. Thank you! I'm honored to hear that. Thanks for letting me and my guests keep you company so often! I love All the Wonders! So many great interviews. It's interesting to see how you've built a strong career by doing things you love as well as helping others succeed. Congrats! I'm grateful that my heart has always steered me in the right direction. Thanks for the comment, Jilanne! I love your podcasts- some of my favorite interviews! Thank you for all you do! Flattered by this. Thank you so much, Lisa! It was hard for me to include that. Thank you for accepting my vulnerability so kindly. Thank you for taking the time out of your busy schedule to share your thoughts. Love the podcast. That was my question, too: how does Matthew get it all done?! Thanks, Matthew, for making kids books relevant and important to a larger audience! Oh it's definitely the readers that make the books relevant, but I'm happy and proud to champion as many as I can. Thanks! WOAH! Now that is the highest praise in my book! Thanks for that, Rita! Hi, Matthew! I appreciate the kindness you give to every guest on your podcasts. I also struggle with comparing myself to the rest of our kidlit community. So many talented people! It's a daily struggle, but definitely helps to know you're not alone, right? Thanks for your interest and support, Sara! I believe one of the most important characteristics one can have as a writer(or in any role) is authenticity. But, when I struggle with self-doubt, that's the first area that suffers. On those days, your All the Wonders podcast is the first place I turn. Matthew, your authenticity and passion are palpable, even through my headphones. Your interviews always help me to re-set my focus and remember why I'm here. Thanks for all you've done (and will continue to do) for this kid lit community! Jennifer, thanks a whole whole bunch for these sincere words! I have to check out your podcasts as they sound like an excellent resource for me as a writer. I sincerely hope you enjoy them, Danielle. You continue to amaze me with all you do, Matthew! Thank you for your contributions to the library and kidlit worlds! thank you for that, Carrie. A compliment from you definitely goes a long way in my book. I can't believe I wasn't on Matthew's email list. Great interview. I enjoyed learning about how he does it all! Not to worry! It's kind of a new thing I'm trying. All the Wonders is an integral part of my week. I love Matthew's genuine interview style and knack for getting to the heart of the creative process. The project was obviously born from a passion for picture books. Thanks for noticing that. Leading with heart and passion is important for us all. I just want to thank Matthew for what he does. His podcasts—from the Emily Arrow music to the in-depth interviews with creators who are willing to be honest and vulnerable about their lives and art, are a bright spot in my life. Thank you for sharing your passion. I'm glad the podcast has found you, Myrna, and that you've responded so personally with it. Cheers! Nice call on that one! Agreed, Kathy! Glad those words reached you, Lauri. I adore your podcasts and loved hearing more about you! YAY! Thanks, Cindy! Glad to know you're listening. You are very sweet, Rita. Thanks for your support! I look forward to each new All the Wonders podcasts. Love this insight into your world, Matthew! Haha. 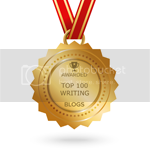 "I started self-identifying as a writer" 15 years ago. I'm going to steal this line from you. One liners, the perfect first line or the perfect sentence can really elevate a piece of writing for me. You have such a beautiful approach to the world, and it is a pleasure to listen to your podcast. I'm so glad it will be continuing! Thank you for your kindness, Ann. Thank you for your podcasts. I save them to listen to only while walking for exercise which is a motivator to go walk! I'm so glad that you invite me and guests to join you! Thanks, Tara.